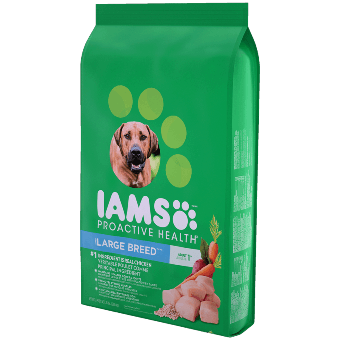 Adult dogs need high-quality protein and essential nutrients to feed an active lifestyle and maintain a shiny coat. 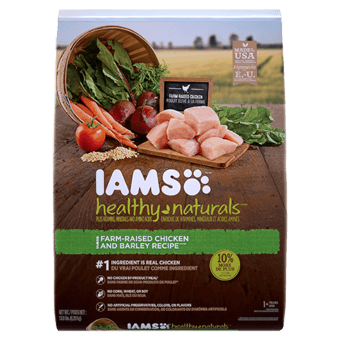 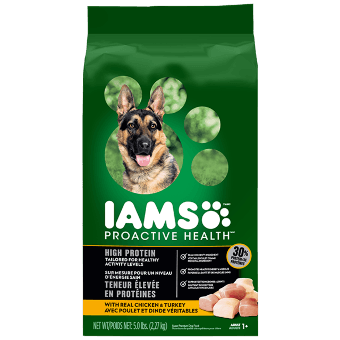 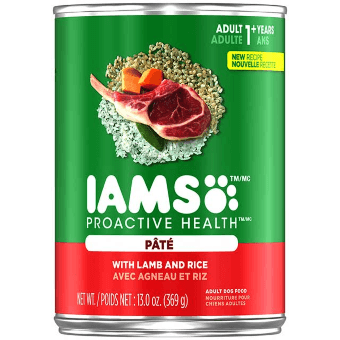 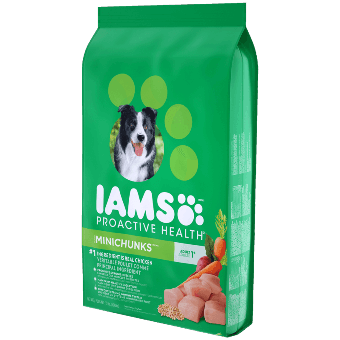 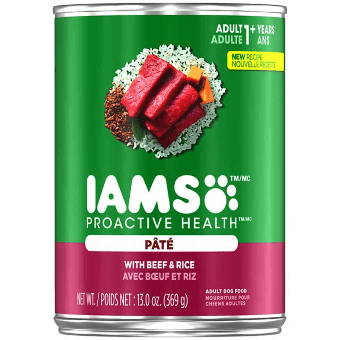 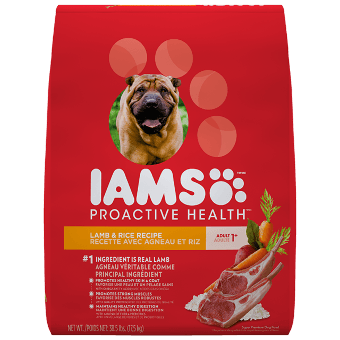 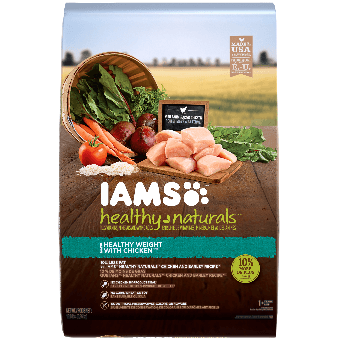 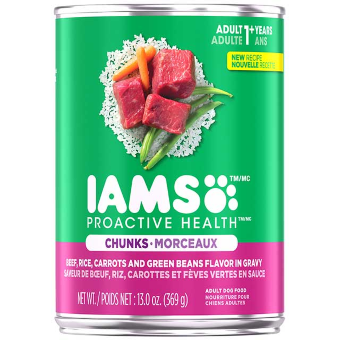 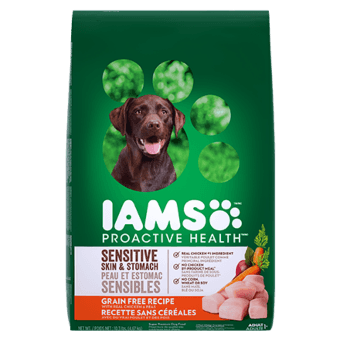 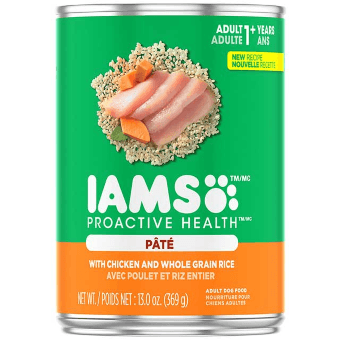 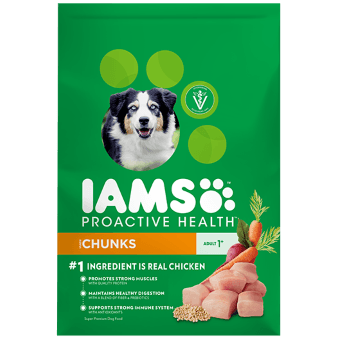 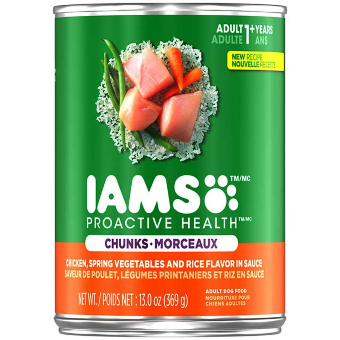 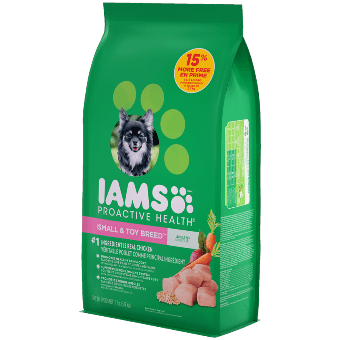 IAMS® PROACTIVE HEALTH® Adult dog food formulas are crafted with wholesome ingredients to support your dog's health. 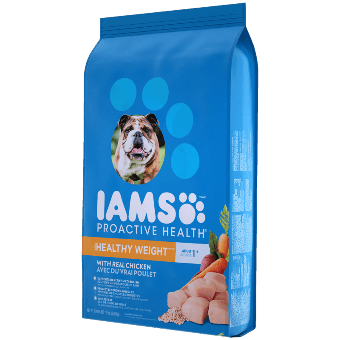 Our unique adult dog food recipes are packed with high quality proteins, and are supported by natural ingredients like Omega-6's for healthy skin and coat and by L-carnitine for healthy metabolism. 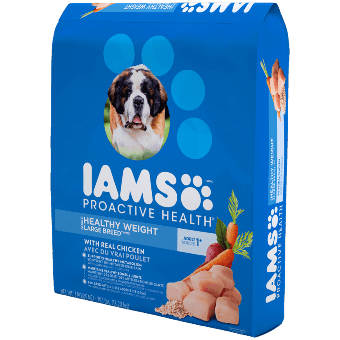 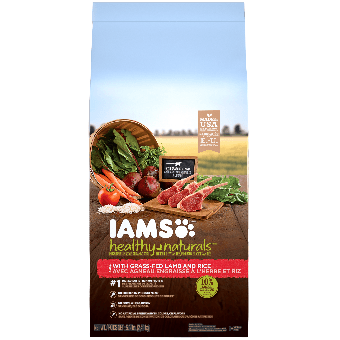 Count on IAMS® adult dog foods when you want the very best for your pet.